Holds placed are not immediately available. You will be notified by the library when your hold is ready to be picked up. 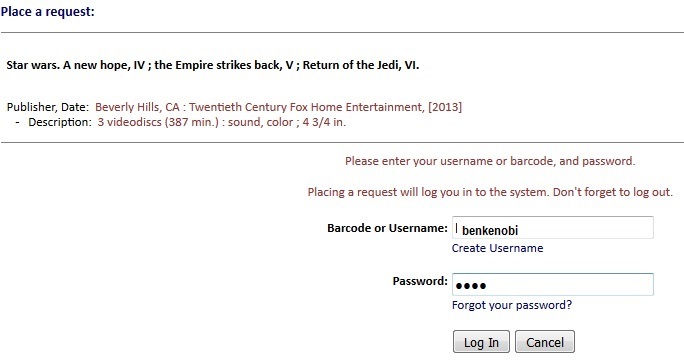 Login to your account with your Barcode or Username. 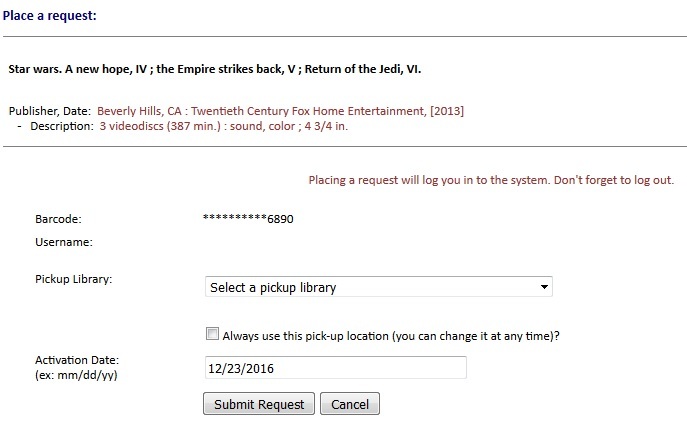 In the drop-down menu box choose library for pickup. Click on Submit Request button. Confirmation page appears, click on OK.